If your 2018 new year resolution is saving money, here is a perfect way to get started. This idea is so simple and easy to implement. What you will need is a large enough container and a saving schedule ( The schedule can be downloaded at the link below). How this method works is that on the first week of 2018, you save $1. On the second week you will need to save $2 and on the 3rd week , $3 and so on. 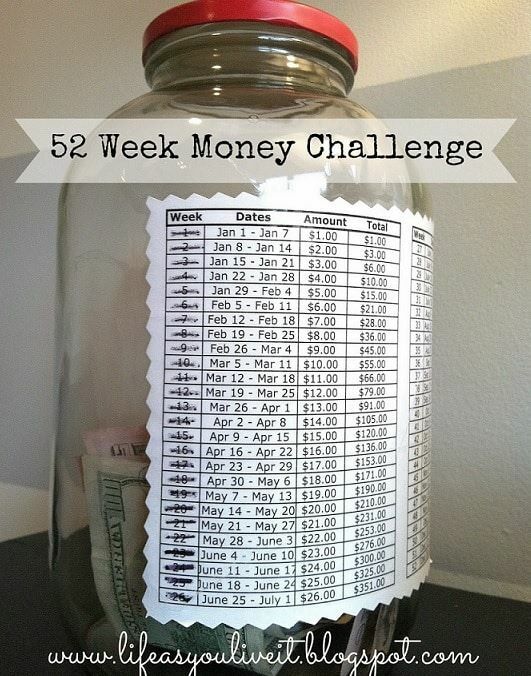 Your goal is to save for 52 weeks. At the end of 52 weeks and if you did not give up, you would had saved $1378 in all. Download Printables @ Life As You Live ItAnd below is a video of this money saving project.